Do you want to join a company that understands its success and is entirely dependent upon the talent and dedication of its employees? 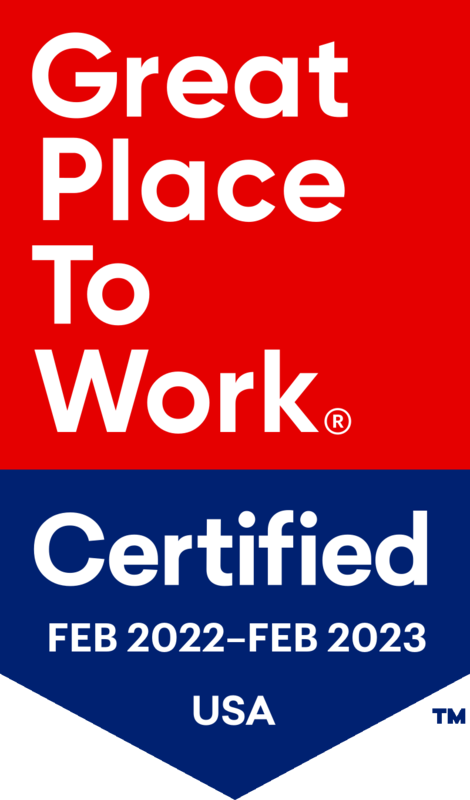 Do you want to work for leaders previously recognized by Fortune Magazine, Inc Magazine and the Best Companies Group for building one of the most successful, employee-friendly companies in the United States? We have a very open and collaborative environment and we’re playing a pivotal role in shaping business financing for the better. Our products have a meaningful impact by improving the success of our clients’ businesses. As you invest in us, we invest in you. We match 100% up to 6% of a team member’s annual salary in 401(K). So go all in. Our team is dedicated and hard working. We recognize and appreciate commitment, so we offer all full-time employees unlimited PTO. It’s important to be present when at home with a new family member. Take care of your loved ones with our generous parental leave. With restaurants, cafés, and an A+ pizza shop just a step away, you have options. We also keep our kitchen fully stocked with healthy snacks in case you need a little something extra. We take pride in your success. In fact, we hope to invest in it. In addition to meaningful early career responsibility and top management interaction, we have graduate tuition support and other professional development programs available for interested professionals. We’re located right on the Erie Canal in The Village of Fairport. Feel free to bike, boat or drive to work. Or use one of our bikes for a lunch break excursion. We offer a variety of generous health insurance plans for you and your dependents. We believe in giving back to our surrounding communities and encourage our employees to help us support outstanding local charities. If you are reading this, you are one step closer to seizing a rare opportunity to be a part of something big. At Innovation Finance, we believe we have the potential to revolutionize the way businesses throughout America finance the assets they need to grow. You will be responsible for helping change a trillion-dollar per year commercial financing industry. Our ability to make an impact requires a team with diversity of experience, thought, and expertise. We are proud to be an equal employment opportunity employer. Just because you are good at numbers doesn’t mean you should be treated like one. As an Accountant at Innovation Finance, your unique skills will not be taken for granted. You will be challenged to use your talents to not only manage, but also help improve our strategy for successful financial management. If you are willing to invest your time and energy in us, we will return the favor by helping you reach your full potential both as a business professional and as a person. Warning: We appreciate and recognize awesome work – we can’t help it! So if you’re the type of accountant that prefers to sit behind a desk, do the bare minimum, and never talk to anyone, this probably isn’t going to be a good fit. • Prepare and review journal entries to assist in the accurate preparation of the company’s financial statements, including managing month-end close processes. • Complete and review account reconciliations including maintaining necessary supporting documentation. • Prepare and interpret reports and analysis related to financial performance, trends, budgets and forecasts. •Maintain a working knowledge of U.S. Generally Accepted Accounting Principles (GAAP). • Assist in the coordination of audits and examinations. © 2018 Innovation Finance USA LLC. All Rights Reserved.